I’ve already praised his latest live album in my 25 essential Jazz albums. 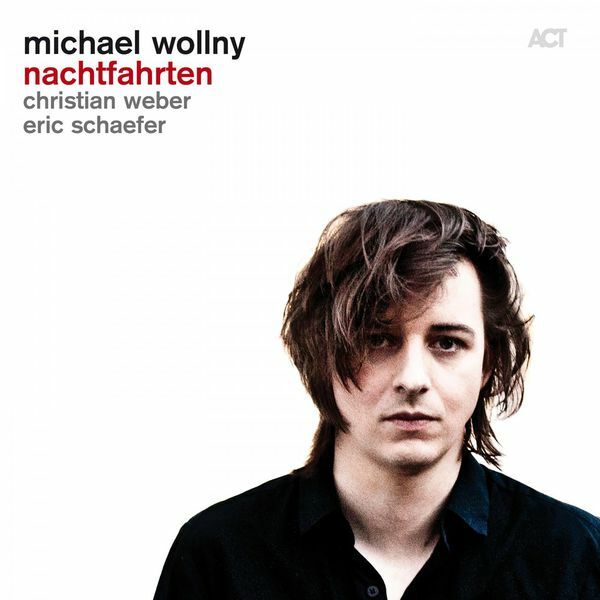 Michael Wollny, 37, is certainly one of the greatest talents in Jazz Germany has to offer these days. So I was very glad when I was pointed to his latest album he just released, Nachtfahrten (literally, night rides or night drives). Really, you’re going to say, my last post was about Chopin’s Nocturnes, and here comes another one about music of (or for) the night? Well, this wasn’t on purpose. In any case, when you listen to this album, think much more Debussy’s nocturnes, or Scriabin, than Chopin. There is none of the peacefulness of the Chopin around, the word that comes to mind listening to this new album is the beautiful English word “eery”, actually, you never feel fully safe listening to this album. Where does this eeriness come from? Well, very slow tempi, dark harmonics, a very light touch by Eric Schaefer on drums, but all this doesn’t even come close to describing the feelings you’ll get from this album. The track titles like Nachtmahr, a rather unusual German translation of nightmare, Feu Follet, French for will-o’-the-wisp, Marion (named after Marion Crane, the blonde victim of the Psycho shower scene), or Metzengerstein, the name of Edgar Allen Poe’s first novel, don’t really help. Well, you get the idea. There are some slightly lighter titles like Ellen, which is one of the few occasions where the trio gets to show that they are able to swing really well, but even these don’t break the overall dark mood of the album. Several journalists have asked the question whether this is Jazz, Pop, or contemporary classical. Well, honestly, who cares. It is impressive music, full of a strange and irritating energy, that will draw you into the music. This is anything but background music for a cocktail party. It needs your full attention (and dimmed lights). Two videos to give you an example, one with Michael commenting on the album, unfortunately in German only. How the sound quality though? Next Next post: Bach / Beethoven / Rzewski – Igor Levit Attacks Goldberg and Diabelli – Wow!